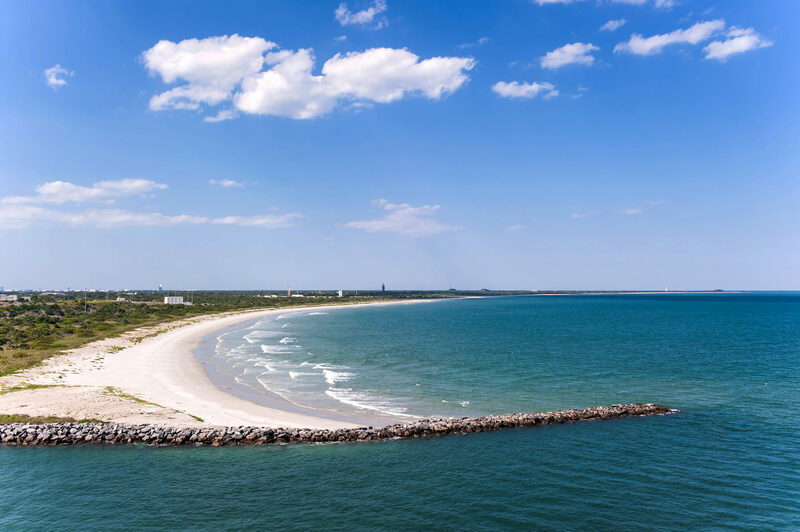 Port Canaveral is Florida's fastest growing cruise port, located just 45 miles away from Orlando, visitors can combine Orlando theme park attractions whilst staying in Port Canaveral. One of Florida's major tourist destinations, Kennedy Space Centre allows visitors to discover the wonders of Space, Go behind the scenes into restricted areas and meet real astronauts and learn what it's like to go into space. Cocoa Beach is a favourite for both locals and tourists, the has plenty of watersports on offer and there are fabulous shops and restaurants to kick back and enjoy the beach lifestyle. Dedicated to preserving the history of the U.S. space programme, the monuments and museum honour the men and women who have made the space programme possible. This museum is dedicated to finding and preserving historic aircraft, you can view vintage World War II aircraft, see war memorabilia and hear war stories from veteran tour guides.